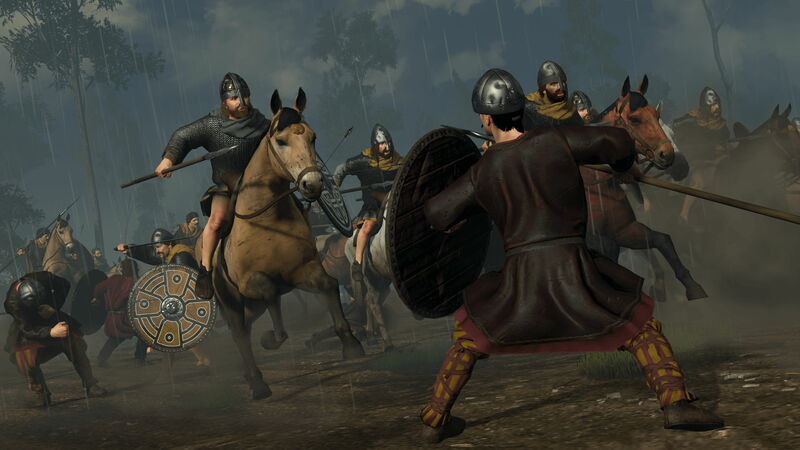 “This feature is based on Religion from Attila and the Culture mechanic of ROME II but, to better match what was going on during the time period and the design of the game overall, it has been reimagined as ‘Allegiance’. As you take territory, you’ll spread Allegiance to these new regions based on how influential your faction leader is, the followers and traits your characters has, and possibly some buildings – we’re still balancing aspects of this feature. You’ll also suffer public order penalties from having lots of other faction Allegiances in your territory. “Adding this feature helps tie in to several areas that we identified for improvement, mostly politics and how provinces work. Some players mentioned that, with the lack of garrisons, it can be harsh and frustrating to take back a settlement you had a turn before and suffer the occupation public order penalty straight away. With Allegiance we’ve now removed the occupation public order hit, so the main public order penalty you get from taking a settlement is based on Allegiance. Take back a settlement you lost the turn before and you’re very unlikely to have any extra public order issues. Take a settlement deep in enemy territory, however, and it will take time to get the people’s Allegiance and deal with the resulting public order problems. The Allegiance update will change plenty more, mind. See the beta patch notes for more on buildings, politics, battle AI, and more. If you want to try this update now (aware that it may change or be a bit off), instructions are through that link. If you’d rather wait until it’s properly finished, wait on. The customary Total War gore-adding Blood DLC (free for Attila blood DLC owners) and mod tools are in the pipeline too. Tagged with A Total War Saga: Thrones of Britannia.